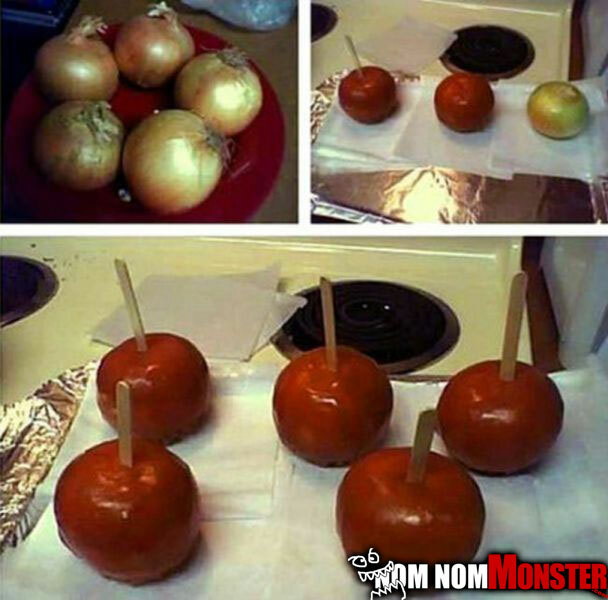 I love a good prank, but some are just too far. This is a example of too far, the last thing I want when trying to enjoy a sweet caramel apple is one of these breath blasters. If I had to pick my favorite pie, apple pie is definitely it…You might have made your pie have a face, but it’s not going to stop me. 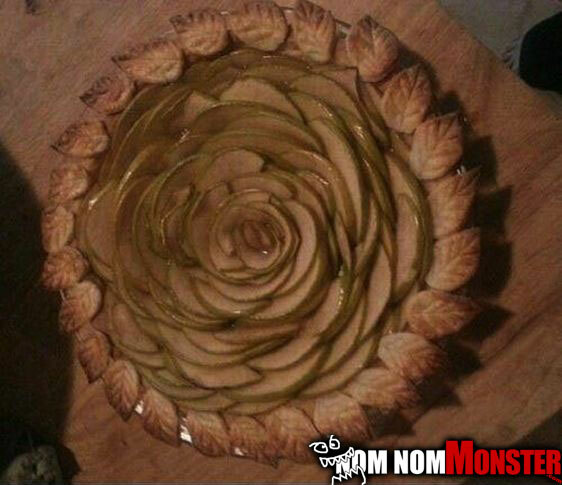 I dont know if I could eat this knowing the time and art going into this pie. 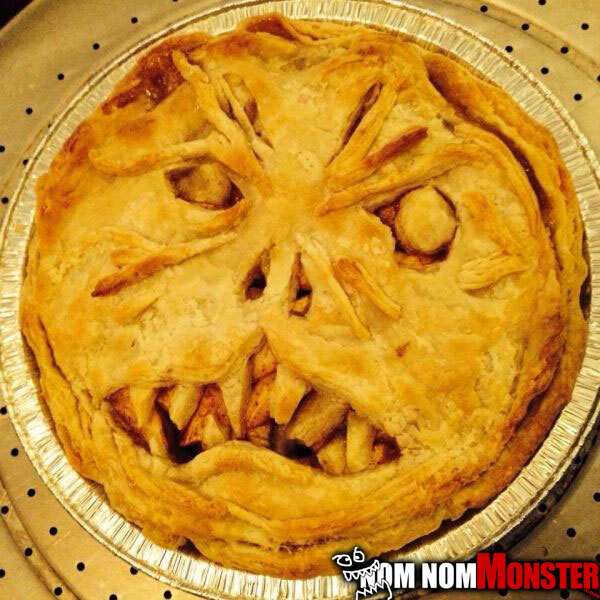 The pie of the dark one…H.P. 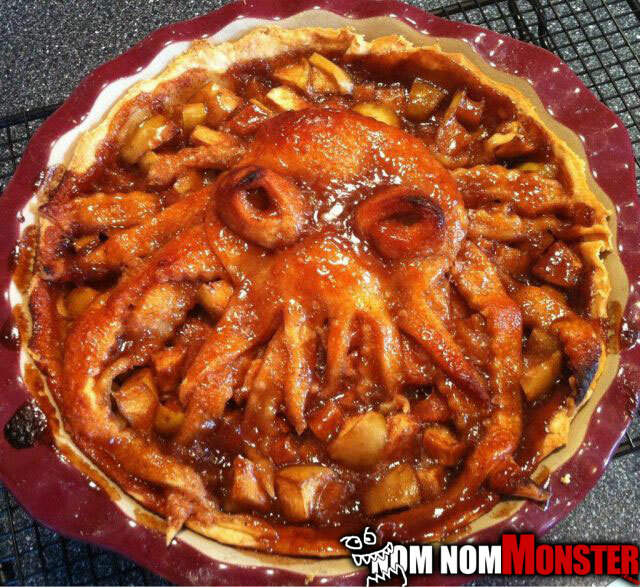 Lovecraft would love a slice.